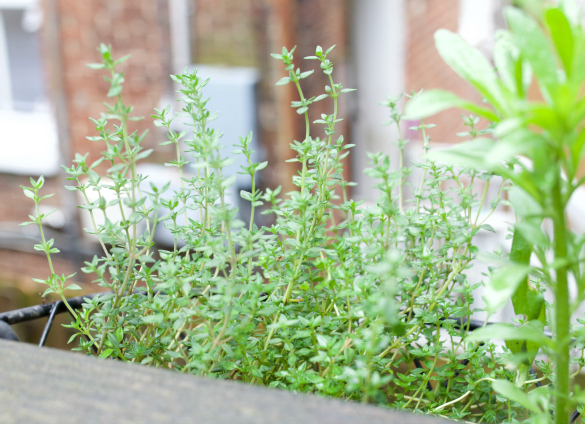 Thyme is one of those versatile herbs that can add seasonal flavor to fall and winter dishes, just as easily as it can add a punch of freshness on the summer grill or perk up a refreshing cocktail. 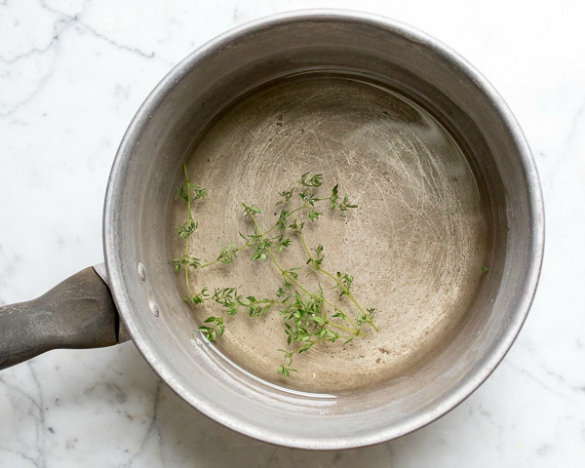 Combining most any herb with a touch of sugar and water to simmer over the stovetop is the trick to creating a simple syrup fit for infusing cocktails that boast a taste of the season. 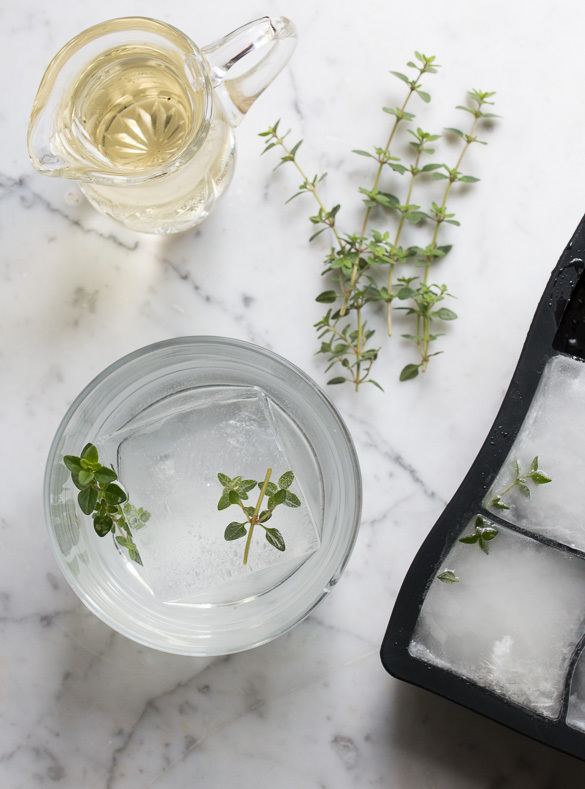 When paired with your favorite spirit, ice for chilling and a splash of fizzy seltzer to finish, the flavors from your garden will come to life — and that's something we can all toast to! 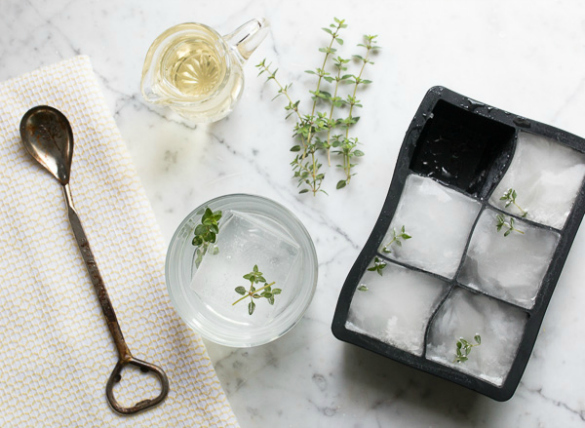 Use the cubes in cocktails, mocktails, an addition to seltzer water or to brighten up the flavor of a glass of lemonade. 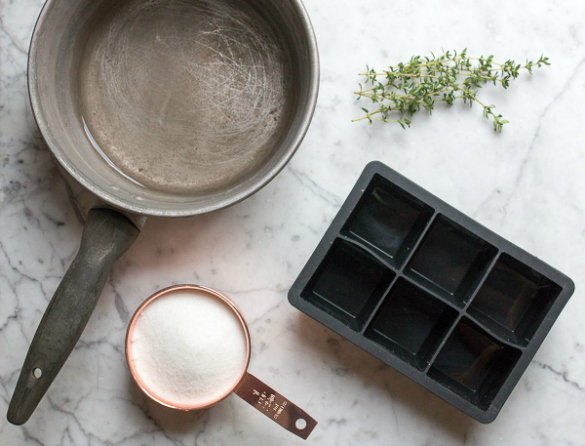 Head on over to the Tasting Room blog for the full recipe with step by step instructions for concocting a batch of these simple syrup ice cubes for use in spirits all summer long.